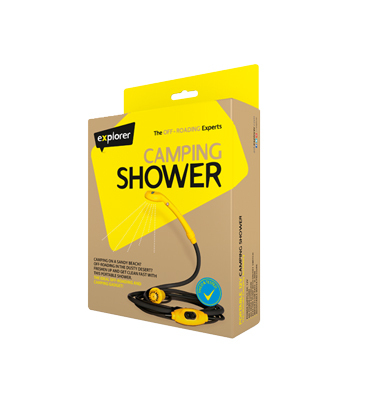 Whether you're camping for the weekend or off-roading for a day, this easy to use and durable shower adds a touch of luxury to your trip. Compatible with your car's DC power fitting and with a powerful pump, 6m power cord, and adjustable water pressure, it's the ideal off-roading and camping accessory. Who says you can't shower in the desert?